As we join ourselves into the nature of hard work, we also have to deal with pressure and strenuous activities. Along with this, we have to make sure that our feet should be protected at all times and wearing of work boots is a must because our feet are the only part of our body who can lend the strength that we need in dealing with difficult things with the nature of our living. Police, Guards, laborers, soldiers or any type of people whose job is on the field or any high-temperature environment, they are typically prone to sweating of the feet. And whether they like it or not, it’s their feet that are more affected as they put more pressure on it in everything they do, thus, they get prone to bacterial infections, fungi, and other medical medications. That is why it is important to know how to keep feet dry in work boots to avoid those unfortunate situations. The responsibilities of our feet have something to do with absorbing more force during any activities or moving of our body. In short, they are simply essential but keeping it dry like we always wanted is not an easy task to do. Having wet feet during busy hours affects the body with the ways how we work and thus, slows down our production. The following are your own ways how to treat your feet to keep it dry for good. The moisture status of your footwear affects greatly in keeping your feet dry. There are so many ways you can save your feet from sweatin﻿﻿g and you can start with the footwear. Never wear your shoes straight for two days. It’s definitely a bad idea no matter how good that working boots of yours. Alternating of shoes is a way to rest for the other shoes until it will completely dry for your next wear. The moisture that still lurks from your boots never fades in just an overnight sit in the corner. And that moisture will turn into fungus and bacteria that will transfer to your feet the next day you wear it and it will only worsen the case and continue your feet to get sweat. A lot of working people recommended the using of desiccant packets, a type of s﻿﻿﻿ilic﻿﻿a ge﻿l, a type of means that is effective in removing the moist and also odor in working boots.These are little packs you can see on some newly-purchased electronics or goods. Do not throw them. You can have it for good and experience its versatile uses on your working boots. If you don’t have any ideas about shoe drying hacks, you can have the aid of a heater or heating vent. The amount of heat that circulates is enough to keep your footwear dry and definitely kills germs and bacteria. Just make sure not to over dry with the heat, this would damage the glue in your footwear causing it to melt. 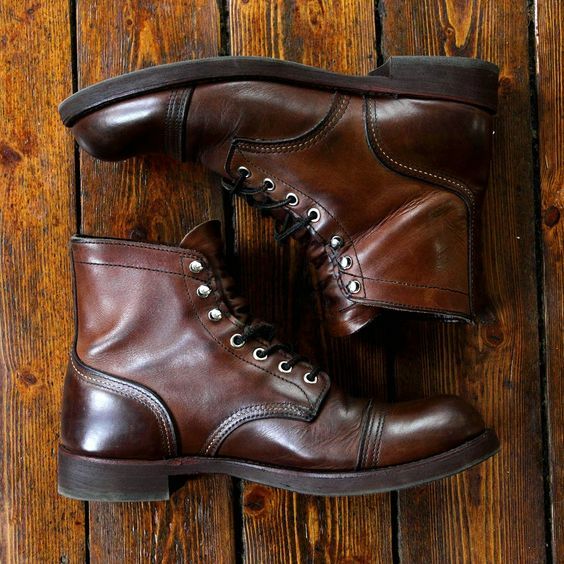 Find time to replace boot inserts. It can be washed and replaced. Thus, you always have a clean feel every time you wear that working boots of yours. A clean feel will add the comfort to your feet, so no trace of sweat can possibly occur in your feet. If you are tired of your old insoles of your working boots, you can buy a new one and have it replaced. In fact, there are lots of good insoles in the market fit for working boots. But the insoles which are best for working boots are the support insoles. It is essentially made from harder materials that work greatly on support. It provides extra stability and comfort fit for the nature of the job. But be sure that it carries your main purpose and that is to keep your feet dry. Find the best insoles you can find ﻿for ﻿﻿your ﻿﻿working boots that have said to be the most trusted support insoles in the industry and help you effectively in keeping your feet dry. When it comes to durability, comfort, support and maximum foot protection, this insole is best for you. And it’s perfect for busy individuals who put too much strength in their job. You can also choose the color for this type of insole fit for your working boots. This type of insole has an OrthoLite top layer that basically provides the regulation of temperature that stays your feet dry, fresher feeling and comfort with a bigger priority on support. A good quality working boo﻿﻿t﻿﻿s has something to do with overall quality and not only for the brand itself. It should be the most comfortable and the best waterproof working boots from the inside. In choosing good working boots, please consider your work environment situations. This will help to adjust your feet on the environment condition if you have suitable working boots. If you work in winter cold environment, try to find one with insulation. You don’t want your feet to freeze to death, do you? If you don’t want to make your feet sweat, find for the right socks to make it warmer and comfy. If you work in wet, a high waterproofing work boots are best. If you work in a slippery work area, you can have a work boot with extra traction, especially on the sole part of your shoes. Other things to look for working boots are defined heel, great sole traction, and with extra ankle support. All these features, wherever you are, will ease your feet tension and avoid your feet from sweating out. It’s so important to have your feet in a comfortable position to work things out. It is necessary for working individuals to have their part keeping their feet dry even in the midst of their production time. It is comforting to know, even you are working, you take a time to make your feet at ease in any working condition. Remember that the dry and comfortable feet help you out in making yourself useful. Aside in practicing your strict foot hygiene, you should know good quality working boot﻿﻿s that really work for you and all the things that keep your feet from sweating. Find time to comment and share my article if you really like it and served your purpose.